MSE Creative Consulting Blog: Climate Alarmists: Be Careful What You Wish For! 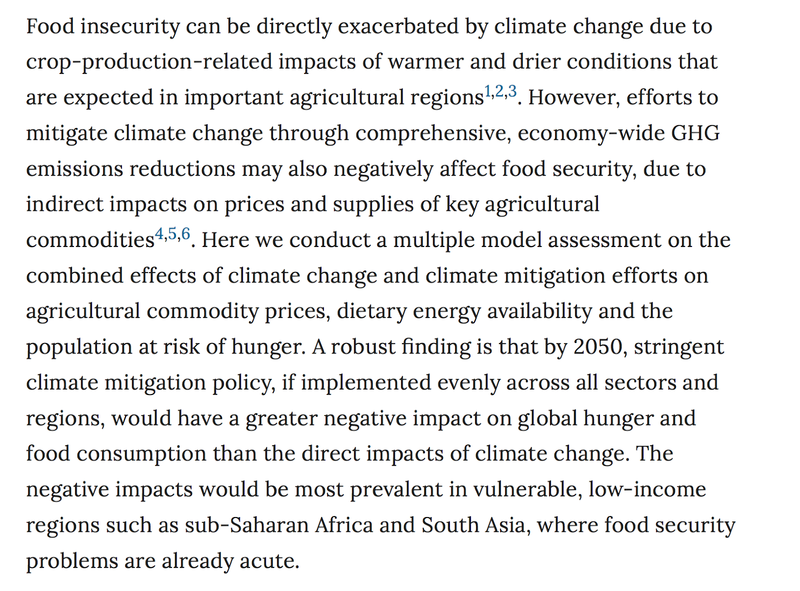 "A robust finding is that by 2050, stringent climate mitigation policy, if implemented evenly across all sectors and regions, would have a greater negative impact on global hunger and food consumption than the direct effects of climate change." 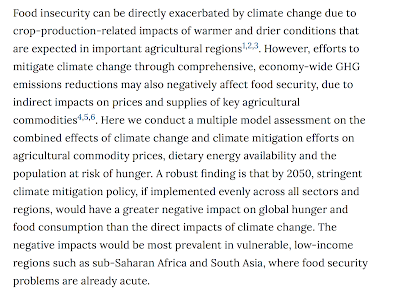 Much of what is advocated by Big Climate is about political power rather than helping ordinary people. They keep putting the cart before the horse: climate science does not know the ideal average global temperature for humanity. There is a very good chance that current or even warmer temperatures are better for humanity when the good and bad effects are netted out. *Yes, there are hungry people but that is due to corrupt politics or faulty distribution.